Last year was such a successful year for Pt. Leo Estate – and we believe 2019 is already shaping up to be another exciting one, with both of our events at the Melbourne Food & Wine Festival already sold out! We look forward to launching our ‘Seasons Feast Series’ for our Wine Club, as well as a number of unique & exciting events for our guests to enjoy throughout the year. Be sure to add Pt. Leo Estate to your Summer bucket list, as our new all-weather Wine Terrace has re-opened! And what better way to catch up with family & friends this Summer than to enjoy the cool bay breeze over battered Dory, a cheese board and some cold beverages in this newly renovated space. Now is the time to book your private event/ gathering in our amazing exclusive Wine Terrace. Nothing says ‘I love you’ more than a 4 course lunch or dinner in Pt. Leo Restaurant. With spectacular views over Western Port & Phillip Island, you will be sure to impress that special person in your life. Easter comes alive in the Sculpture Park this year! Bring the kids for an eggs-citing Easter Sunday at Pt. Leo Estate where the young (and young at heart) are kept entertained with arts & craft, Koko Black Easter eggs and hot chocolate, Pt. Leo Hot Cross Buns and more! The doors to our Wine Terrace will open at 9:00am for kids to decorate their baskets, before starting the Koko Black Easter egg hunt at 10am sharp. Numbers are strictly limited. Make sure you register today & be part of the fun! Tickets on sale 24th February! Have you seen the newest piece to the Sculpture Park? In place of ‘Shhh…Don’t Tell Anyone’ (now on loan at RACV Cape Schanck Resort) Languorous Repose was conceived initially by Paley for a temporary installation of thirteen large-scale sculptures along the median strip of New York City’s Park Avenue. Languorous Repose illustrates the artist’s constructivist aesthetic of complex, abstract structures that do not actually move but imply a sense of motion and animation through gesture and balance. Come and see it for yourself! 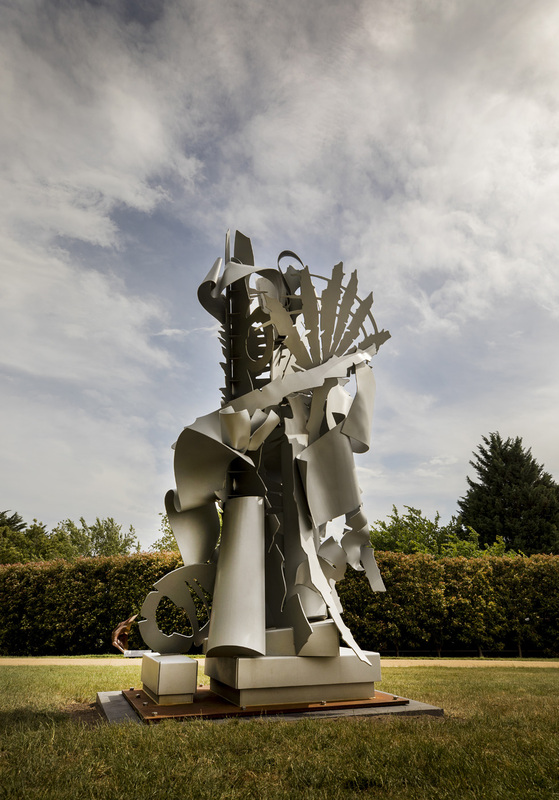 Tickets to theSculpture Park are available to purchase from our guest services desk. Over the last few weeks the vineyard team has been busy pruning foliage, dropping excess fruit and beginning the process of netting the vines. As the vines start to ripen they attract the attention of birds and other wildlife. Netting ensures the crop has a chance to ripen and the nets are removed just before picking. At this stage in the season the fruit starts to go through a process known as ‘veraison’. This is the point at which the grapes start to gain their sweetness and the acidity levels start to fall. The red varietals start to take on their hue and the white grapes become translucent. From this point (depending on the weather) we are 30 – 70 days away from harvest. The winery team will be busy making space for the new vintage – cleaning barrels, bottling last years vintage and cleaning the crushers. It is one of the most anticipated times of the year for the Cellar Door and vignerons. Over the course of the year, we welcome our Wine Club members, locals and holidaymakers to the Western-port side of the Mornington Peninsula, to Pt. 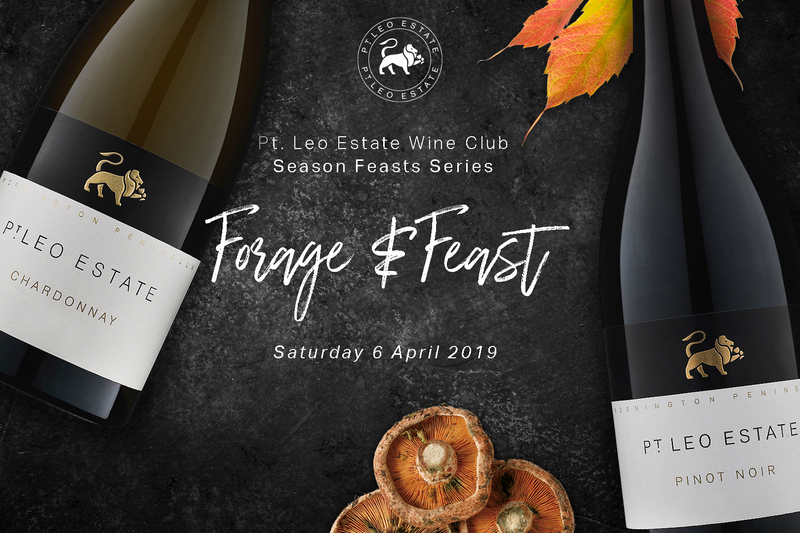 Leo Estate for our 4 Seasons Feast Series. This series celebrates the pleasures of changing seasons in our 50-acre vineyard, and the produce that we source for our feasts from in and around the Mornington Peninsula. Join us for a feast-style dinner to celebrate the harvest season at Pt. Leo Estate. Our seasonal three-course menu will showcase the best of the Peninsula’s produce, with a wine flight of Pt. Leo Estate wines to match the special forage-style menu. Pre-release tickets will be released Saturday 16th February for our Wine Club members! Become a member to experience and enjoy many benefits, including 15% discount on Pt. Leo Estate wine and exclusive event invitations.